Sometime between 2008 and 2009 there were suddenly more devices, computers, and sensors connected to the internet than there were people in the world (Cisco, 2011). This network of devices, computers, and sensors is called the Internet of Things (IoT). And while personal computer usage has grown linearly over the past decade, the sensors, cars, refrigerators, TVs, wearables – i.e. the things – connected to the internet have grown exponentially. Cisco’s estimate that there will be 50 billion devices connected to the internet by 2020 is now considered by some to be conservative (Forbes, 2014). But what is the value proposition of this $19 trillion dollar industry to healthcare? Hospitals have traditionally been late adopters of technology and industrial concepts. The 1999 Institute of Medicine report, “To Err Is Human” highlighted the approximately 44,000 – 98,000 preventable deaths in the United States each year that were attributable to medical errors (IOM, 1999). That report, coupled with skyrocketing healthcare delivery costs, triggered a call-to-arms that led to the rise of the continuous quality improvement movement in healthcare over the subsequent decade. LEAN and Sig Sigma quality improvement principles are now being applied to hospital business, clinical, administrative, and design processes around the world (Sperl, 2013). This has engendered a drive towards standardization, closed loop delivery systems, and fully electronic records in order to reduce human error and improve efficiency and cost of care, to a large extent using either front-end or back-end clinical and business decision support. Despite that, fundamental problems remain in communicating critical information “just-in-time”, implementing quality improvement initiatives at the bedside, and creating sustainable change. Most importantly, medical errors still happen, every single day, at hospitals all over the world. That’s where the Internet of Healthcare Things comes in. Consider this smart sprinkler controller, available online for a few hundred dollars (www.greeniq.co). Like other sprinkler controllers, the Smart Garden Hub connects to your existing in-ground sprinkler system and allows you to program how your lawn is watered using a timer and electrically triggered valves. Unlike conventional sprinkler controllers, the Smart Garden Hub is connected to the internet through your home wireless network. When the timer signals that it’s time to water the lawn, the Smart Garden Hub connects to the internet and obtains the local weather forecast for your area. Based on the rain forecast, temperature, and humidity outside, the Smart Garden Hub decides on its own whether to water the lawn, and for how long. So when it is raining, the sprinkler doesn’t water. When it’s cold and cloudy and there isn’t much evapotranspiration, it delivers less water. You can still make personal and seasonal adjustments. You can save about 50% of your water bill, spend less time taking care of your grass, and actually end up with a nicer looking lawn (author’s personal experience). Cost savings, reduced work effort, improved outcomes, and better end-user experience, all enabled by allowing one device to exchange information with another through the internet of things. Creating sustainable, affordable, more effective, and safer healthcare is all about reducing cost and improving efficiency, outcomes, and patient experience. What we need is a Smart Garden Hub for healthcare. The demand for internet of things solutions in healthcare is not new. Patient controlled anesthesia (PCA) infusion pumps are programmed by anesthesiologists for both continuous and bolus dosing of opiate and other pain medications after surgery. The patient gets the benefit of a continuous infusion of pain medication, and can press a button to control their own additional ‘as needed’ doses. Opiate pain medications can have strong side effects, such as decreasing blood pressure and heart rate, decreasing level of consciousness, and suppressing the drive to breathe. In 2006, the Anesthesia Patient Safety Foundation commented that “life threatening overdose cases are disturbingly common”, and recommended that PCA pumps should have “the ability to automatically terminate or reduce PCA (or PCEA) infusions when monitoring technology suggests the presence of opioid-induced respiratory depression.” (APFS, 2006) The concept, called an infusion safety interlock, was explored further at the Medical Device Plug-and-Play Interoperability Lab at Massachusetts General Hospital / Partners HealthCare/ CIMIT (MDPnP, 2012). By connecting a PCA pump, patient monitoring devices for blood pressure, oxygen saturation, respiratory rate, and end-tidal carbon dioxide, and the nurse call system, the pump can be designed to both automatically shut off and notify the ordering physician/responsible nurse when pre-determined conditions matching a potential narcotic overdose are reached. Unfortunately, after almost a decade, the concept has yet to penetrate the healthcare technology market, not because it isn’t technically feasible, but because of persistent issues around interoperability, privacy, and perceived risk. In healthcare, device and system information exchange (ie. interoperability) has traditionally been accomplished using single-use software interfaces that enable a particular device or system to send information to another particular device or system, but not to any others. These interfaces are predominately unidirectional, meaning that an IV pump may be able to send information to the Electronic Medical Record (EMR), but be unable to receive any information in return. That works well for automatically collecting a patient’s vital signs into the EMR, but what if we want the vital signs machine to automatically increase the frequency of recording vital signs because laboratory results in the EMR are showing a severe electrolyte abnormality? Or back to the PCA infusion interlock example, how do I tell the pump to stop delivering opiates if information only goes in one direction? To create smart healthcare devices that interact with each other, we need to consider an alternative model for intraoperability. Imagine a medical device wrapped in a layer of connectivity. The connectivity layer controls information flow between the device and the outside world. The connectivity layer acts as a universal translator, converting the language the IV pump speaks into a standard language that can interface with other similarly connected devices. Most IV pumps already have a translator, called an HL7 interface, that standardizes the format of the information outputted by the pump. But it doesn’t allow the pump to be controlled, or to respond to events that may be important to the pump, such as the side effects that the drug it is delivering may be causing. In other words, it doesn’t make the pump ‘smart’. Many IV pumps also have security issues, often because of generic passwords that can provide ‘back-door’ entry-points for a hackers (Wired, 2015). So around the connectivity layer, we need to wrap a layer of security. The security layer ensures that any attempt by any other device to communicate with the IV pump is authentic (i.e. the request is verified as coming from another device and not a pretender), authorized (i.e. the requesting device has permission to communicate with the IV pump), and secure (i.e. no-one else is listening to the conversation between the device and the IV pump). The next layer is the ambient intelligence layer. These are the rules that determine how the devices interact with each other, designed by experienced clinical staff based on how they would respond to similar clinical conditions. They can be very complex, and can utilize information from multiple other devices. In the PCA safety interlock example, the PCA pump may want information from the vitals machine (respiratory rate, end tidal carbon dioxide), from the electronic medical record (nursing assistant charting of decreased level of consciousness), and from the nurse call system (nobody has answered the PCA pump’s request for intervention within a 2 minute window) before making a decision to decrease or shut off the opiate infusion. We can utilize the same conceptual framework to wrap not just medical devices, but also personal communications devices, clinical software applications, hospital clinical systems (e.g. Electronic Medical Record, drug dispensing system), and hospital building systems (e.g. security system, environmental controls). By utilizing a common framework, any smart device can ‘talk’ to any smart hospital system without the need to repeatedly build customized communications interfaces. When we allow these devices and systems to exchange information in order to intelligently automate workflow inside a hospital, we create an Internet of Healthcare Things. And with the right security and privacy measures in place, we don’t need to stop at the hospital’s physical walls. The Gartner Group predicts that the smart machine era will be the most disruptive in the history of Information Technology (Gartner, 2013). Nowhere will that be more evident than in home health and hospital-based healthcare. Hospitals, and particularly publically funded hospitals, have traditionally been repositories of aging equipment and infrastructure. As new technologies pervade the retail market, clinicians are becoming increasingly frustrated with the obsolete tools of their trade and are demanding immediate change. In areas where there is a sound business case, hospitals are leapfrogging technology, and purchasing systems with increasing capabilities for data exchange. Healthcare funding constraints, both in Canada and globally, demand massive efficiency gains to make healthcare more affordable without sacrificing quality. In addition, there is now simply too much discrete healthcare information for individual clinicians to manage without supportive technologies. Intelligent workflow automation improves hospital processes by managing all the mundane, non-value added tasks that clinicians and staff waste time doing every day. It makes is easier for doctors and nurses to focus on taking care of their patients, instead of filling out paperwork, trying to find things, and making unnecessary phone calls. It can also make care safer. Patients in the Intensive Care Unit that are on life support are at increased risk for developing hospital acquired infections such as pneumonia. That risk can be significantly reduced by keeping the head-of-the-bed elevated at 45 degrees (CPSI, 2012). By combining location information (patient location = ‘ICU’), bed data (bed angle = ’< 30 degrees’), and ventilator data (ventilation mode = ‘pressure assist’), care providers can be automatically notified when a patient is at increased risk for hospital-acquired pneumonia. Additional information (nurse location = ‘in patient room’) can be used to suppress the notification in the case that a nurse has lowered the head of the bed in order to perform bedside care, such as toileting or bathing. This prevents alert fatigue, when staff ‘tune out’ to alarms because they happen frequently. Imagine if the laboratory system was able to check automatically if a patient was on the correct antibiotic to treat their multi-drug resistant infection? What if a hospital’s elevators knew when clinical staff were rushing to manage a critical medical emergency on a different floor, and came to get them automatically? What if the hospital knew automatically when you arrived for your doctor’s appointment, and could fit you in for the MRI you were waiting for because there was a last minute cancellation? The possibilities are truly boundless, limited only by what we can conceive, and by what systems we have connected to the IOHT. But good ideas don’t always translate into better care. At the Mackenzie Innovation Institute, we are exploring how the Internet of Healthcare Things can make healthcare smarter, safer, less costly, and a better experience for patients. Evans D (Cisco, 2011). The Internet of Things: How the Next Evolution of the Internet Is Changing Everything. A Cisco IBSG White Paper. Available at: http://www.cisco.com/web/about/ac79/docs/innov/IoT_IBSG_0411FINAL.pdf Accessed May 2015. Institute of Medicine (IOM, 1999). To Err is Human: Building a Safer Health System. Available at: https://www.iom.edu/Reports/1999/To-Err-is-Human-Building-A-Safer-Health-System.aspx Accessed May 2015. Press, G (Forbes, 2014). 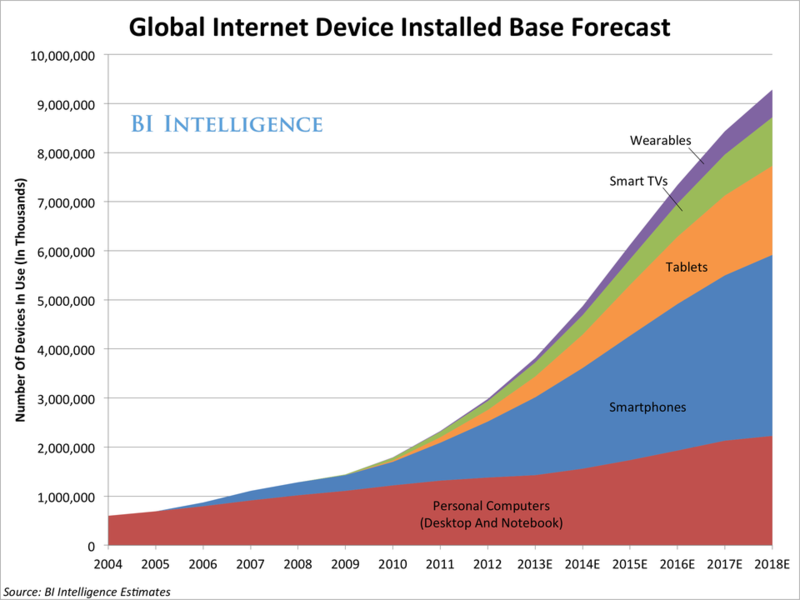 Internet of Things By The Numbers: Market Estimates And Forecast. Forbes August 2014. Available at: http://www.forbes.com/sites/gilpress/2014/08/22/internet-of-things-by-the-numbers-market-estimates-and-forecasts/2/ Accessed June 2015.